I don’t know if y’all have ever seen Bobby Flay on television, but bless his heart, he’s kind of pitiful in the kitchen, isn’t he? Ok, of course I’m just kidding. I love, love, love Bobby Flay and so does Brian. We decided to try our hand at one of his super burgers, and settled on the Santa Fé burger with a bit of a Southern twist. Hamburgers are usually something I make when I just don’t feel like making anything else for dinner. Burgers are simple: just add salt and pepper to ground chuck and form into patties, then throw on the grill or in a skillet. They’re easy and everybody likes them. This burger, however, was far from easy. This burger was a production. An event. A much-anticipated culinary experience. This burger was, as we say in the South, a to-do. We wanted to add a bit more heat and some kind of vegetable. We considered onion rings (yes, onion rings count as a vegetable) but decided onion rings are everywhere and too common. Then we thought, tomato. And almost immediately, that thought transformed to…fried green tomato. And I wanted to include something healthy, so we added arugula too. Because, you know, a few pieces of arugula can boost the health content of a hamburger topped with queso sauce, a fried green tomato and crumbled tortilla chips. The end result of our experiment was a fantastic burger with so much flavor that we all fell in love with it. 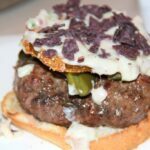 The queso sauce blended perfectly with the fried green tomato, which lent just enough crispy texture to give the burger a notch up. It was amazing! Start by roasting a couple of poblano chiles. Just place them on a baking sheet, drizzle with olive oil, salt and pepper, and roast about 15 minutes or until the skin is blackened. Then place the chiles in a bowl, cover with plastic wrap and let sit for 15-20 minutes. The steam will loosen the skin and you’ll be able to peel it right off. Once peeled, seed the chile and chop. 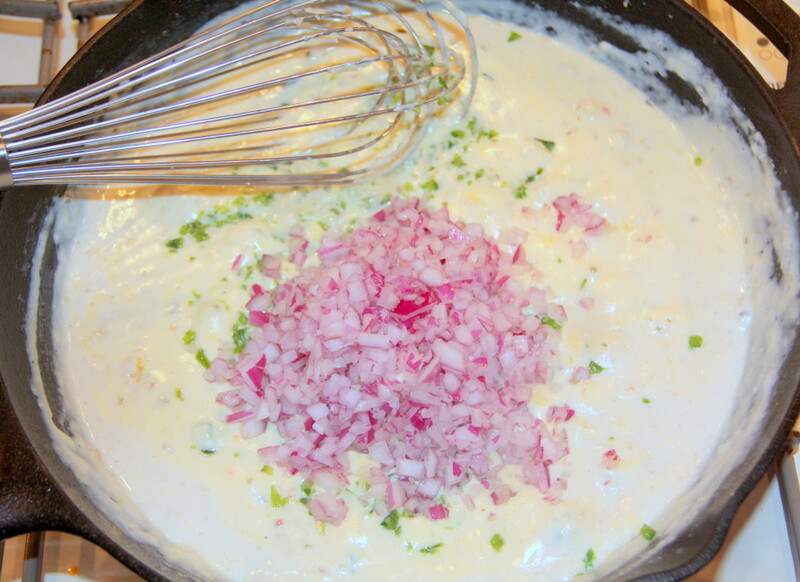 Now for the good stuff: the jalapeño queso sauce. This sauce is also great with chips and salsa. Chop one red onion and 1 or 2 jalapeño peppers finely. In a large skillet over medium heat, melt the butter and once melted, whisk in flour. Cook for one minute, then add milk and increase heat to medium-high. Whisk constantly until sauce thickens slightly, about 5 minutes. Turn heat to low and whisk in the cheese, onion and jalapeño. You could also sauté the onion and jalapeño in butter in a separate pan before adding, but since this is already a lot of trouble I didn’t want to add another step. We were fine with the onion and jalapeño being slightly crunchy in the sauce; in fact, I don’t think anyone even noticed. Continue to cook the sauce on low heat for another 5 minutes, stirring frequently, then remove from heat and keep warm. At this point, you really need two people working. The burgers and fried green tomatoes need to cook at the same time so they’re both warm and ready to serve immediately. If you’re attempting this on your own, then I’d suggest cooking the burgers first and keeping them wrapped loosely in foil to keep warm. You definitely have to serve the fried green tomatoes on the burger as soon as they are cooked or you’ll lose the crispness of the crust on the tomato. Soggy fried green tomato = fail. You can cook the burgers Bobby’s way on the grill or in a skillet. We cooked ours on the grill and then started the assembly process. 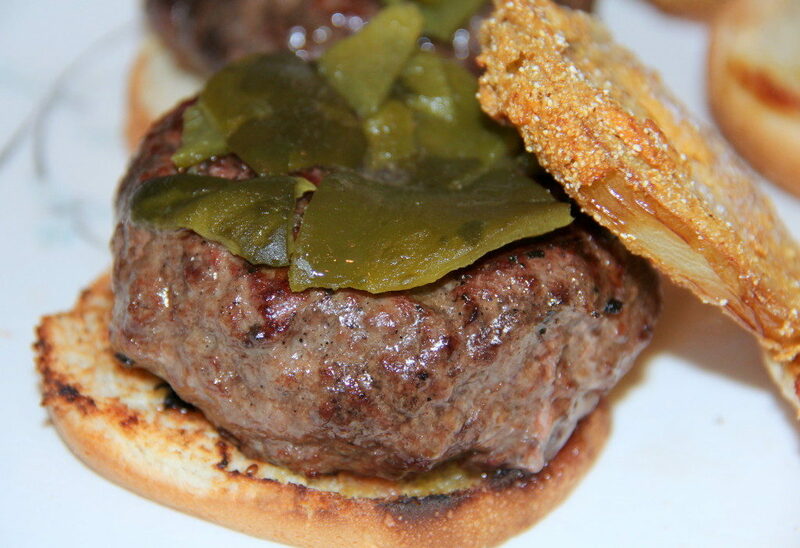 Place the burger on the bottom half of the bun and then top with some of the chopped poblanos. Then add the fried green tomato, a couple of tablespoons of the queso sauce, crumbled tortilla chips and top it off with a little arugula. Place the other half of the bun on top and serve immediately—with lots of napkins! The Santa Fé burger with a Twist is great for a family cooking night. Have the kids pitch in and work together and make it an event. Enjoy! This a delicious, juicy burger with a conglomeration of flavors that explodes in your mouth. Preheat oven to 375. 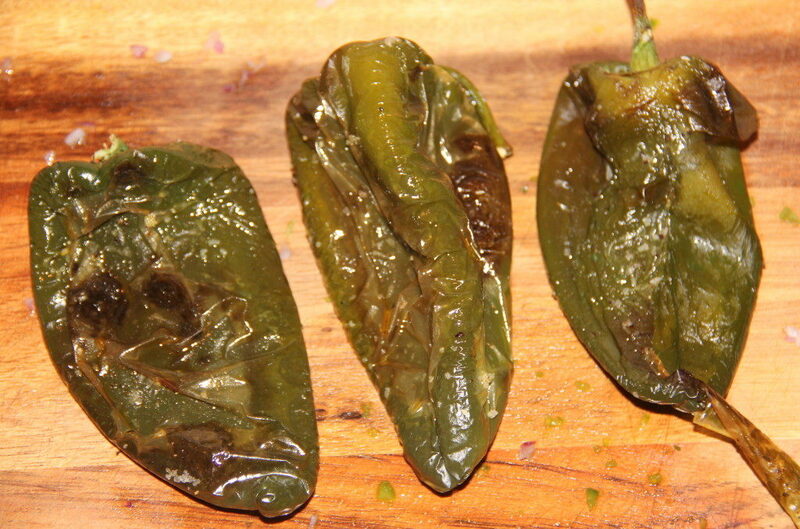 Place chiles on a cookie sheet and drizzle with olive oil, salt and pepper. Roast in oven until skin is blackened, about 15 minutes. Remove chiles from oven and place in a bowl, then cover tightly with plastic wrap. Let chiles rest in bowl for 15 minutes. 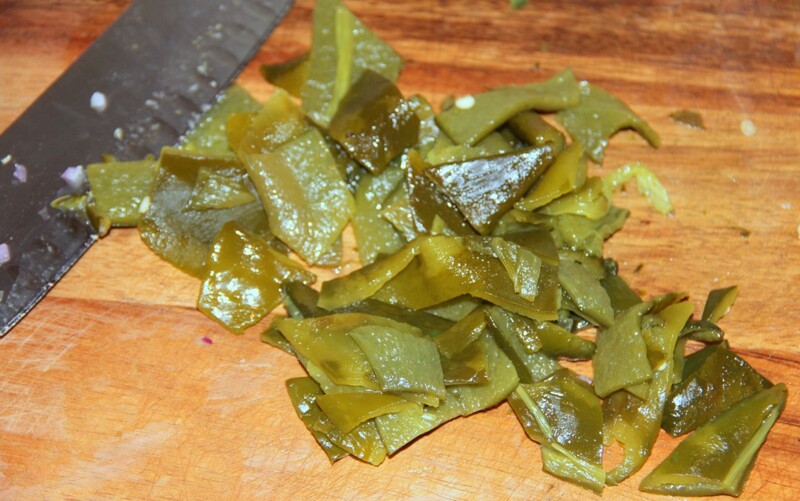 Remove chiles from bowl and peel and seed the chiles, then coarsely chop. Melt butter in a large skillet over medium heat and then whisk in flour and cook for one minute. Add milk, increasing heat to medium-high, and whisk constantly until sauce thickens, about 5 minutes. Turn heat to low and stir in grated cheese, onion and jalapeno. Season with salt and pepper and cook on low for about 5 minutes, stirring frequently, then remove from heat and keep warm. Fry the tomatoes now. 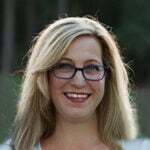 Please see separate post on Fried Green Tomatoes. Divide the meat into 4 equal portions about 3/4 inch thick. Make a depression in the center of each burger and season each side with salt and pepper. Cook the burgers either on the grill or in a skillet. 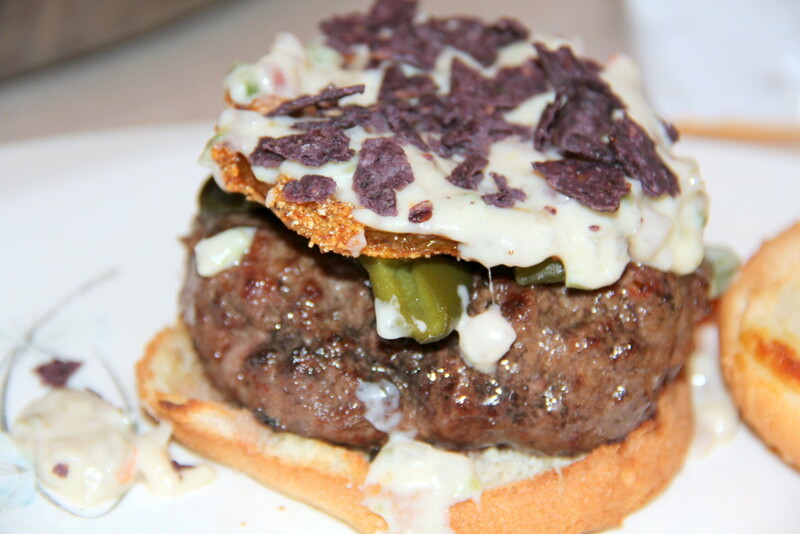 Place burger on bottom half of toasted bun and top with a few pieces of the chopped poblano chile, 1 fried green tomato slice, a couple of tablespoons of the queso sauce, crumbled tortilla chips and arugula. Cover with top half of bun and serve immediately.